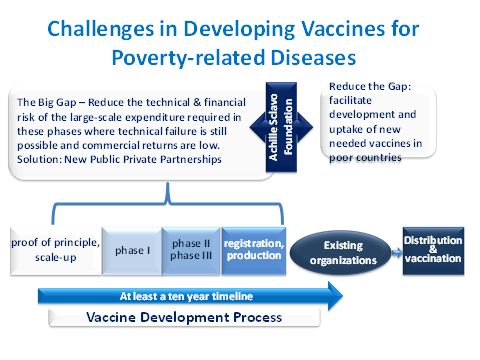 The Fondazione Achille Sclavo strives to help fill the gap between research and the final phases of vaccines development for developing countries, working to accelerate the transition to target populations of vaccines against neglected diseases that are already technically feasible with efficacy trials in animal or human models, but not yet adequately financed. The Fondazione can reach these objectives by advancing two/three candidate vaccines against target infectious diseases in favor of populations of the developing countries over the next five years. In this period of time, the Fondazione will also be working to develop the contacts necessary both in these countries and with the authorities responsible for public health policies, for the adoption of these vaccinations where these diseases are endemic. 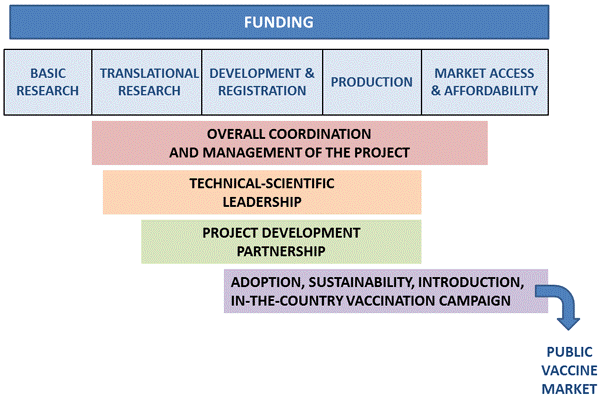 Considering the dimensions of the investment necessary for the development of new vaccines, in order to reach its objectives, the Fondazione will need to carry out intense fundraising activities and work with donations, partnerships and third-party financing for its current activity, besides using the investment income from the founders’ initial financing. All of the economic resources gathered annually by the Fondazione will be dedicated entirely to R&D activities, with the exclusion of very limited operating costs. – support for the adoption, introduction and use of the vaccines in the target countries.